A German and Brazilian citizen, Adriana has been Head of the Dance Department and Curator of Theater Freiburg since their 2017/18 season. For more than 30 years she has been working professionally in the field of dance as a cultural producer and curator, solo dancer, choreographer, dance scholar and guest lecturer at various universities, dance centres and festivals in Europe and South America. As a dancer she worked at Ballet da Cidade de São Paulo, Theater Bremen and Volksbühne am Rosa-Luxemburg-Platz. 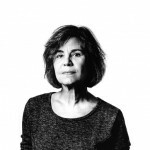 She studied psychology and holds both a PD and PhD from the Universidade Estadual de Campinas-SP (UNICAMP) Institute of Arts Department of Dance, with the research subject of Technical-poetic foundations of the actor. As a guest lecturer, she taught at various universities between 2008 and 2015. 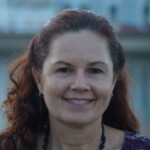 She is a Certified Teacher in Body-Mind Centering and Program Director for Brazil and Uruguay. As the co-founder and co-managing director of the international production office prod.art.br in São Paulo she has been involved in the realization of more than 50 cultural exchange projects in Brazil, South America and Europe since 2004. Theater Freiburg is a city theater located in South Germany in the Dark Forest area. The theater has 4 main axis: opera, theater, dance and teen theater, with national and international productions and co-productions within its showcase repertoire. The theater has four venues: Grosses Haus (900 seats), Kleins Haus (270 seats), Kammerbühne (80 seats) and Werkraum. Since the 2017/18 season, its artistic direction had been led by Peter Carp. The dance department works as an open arena of international cooperation and coproduction with several renowned theaters and festivals. Nearing its 125th anniversary, the São Luiz City Theater, in Lisbon, looking attentively to Portuguese culture and to the cultures of the world, is a venue for everybody. Rooted in the performing arts, the theater’s program develops diverse projects, challenging artists with works under contracts and coproductions. The São Luiz City Theater looks forward to being more than just a venue for performances, presentations, and works, but as a platform supporting creative processes: artistic residencies, creation, production, promotion, and the critical component of audience cultivation and engagement. Since its re-inauguration, in 2002, the São Luiz City Theater has upheld a mission of bringing to the city of Lisbon a theatre that’s alive, with full energetic audiences, hundreds of sessions per season, and up to three daily presentations occupying the three venues of the theatre (Sala Luiz Miguel Cintra, Sala Bernardo Sassetti and Sala Mário Viegas). 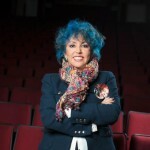 Alaor Rosa is actor, producer, and production manager since 1980 who has been working within Brasilia’s cultural scene since 1986. He is the production manager of the following contemporary theatre, music and dance festivals: Brasília anniversaries, Brazilian cinema Festival in Brasília, Todos os Sons, Brasília Music Festival, Confederations Cup, FIFA Fun Fest, Renato Russo Symphonic. He has been the production director of the Festival Cena Contemporânea (Contemporary Scene Festival) from its 2nd to 19th edition and since its 16th edition, also curator for the festival. The Contemporary Scene – Brasília International Theater Festival, created 23 years ago, is now established as one of the main performing arts festivals in Brazil, with performances from a range of countries, turning the event into a must go in the arts world. The festival works with several languages, co-productions, residencies, experimentations, music, meeting points, business rounds and cultural exchange. Alexandre Vargas is a theater artist, cultural entrepreneur, performing arts researcher and curator in Brazil. 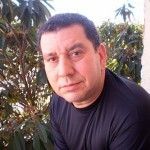 For more than 27 years he has been developing intensive activities related to performing arts, specially theater, as creator, actor, director, researcher and cultural manager. 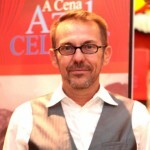 He works as curator, general coordinator and artistic director of the Porto Alegre Street Theater International Festival. Creator and coordinator of the 1st Qorpo Santo Dramaturgy Biennial. He is also director of the Actor’s Theatrical Research Centre (CPTA). In 2017 he created INTERCENA, internationalization program for Rio Grande do Sul performing Arts, considered to be the first performing arts market in Brazil. INTERCENA is an internationalization Project for performing arts in Rio Grande do Sul, Brazil. It’s the first professional performing arts market in the southern region of Brazil. It’s a program structured, by axis and interconnected actions, to promote synergy and to potentialize the diffusion of performing arts. The axis are organized into training for internationalization of performing arts campaigns, an international seminar, business rounds with national and international programmers and curators, and support for performances productions. With a background in Social Communication, specialization in images and Media Cultures at UFMG (BH), Aline is a member of theatrical groups Espanca! and Negr.A – Collective of Black Writers. Until 2017 she was the Production Coordinator, in addition to being the creator, of Black Polyphony – a showcase of creative processes and debates around Black Art, alongside playwright Anderson Feliciano. From 2010 to 2017, she coordinated the Teatro Espanhola, which hosted contemporary art shows and events in Belo Horizonte. 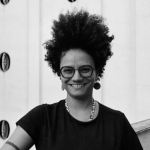 She worked as a producer for a wide range of collectives and projects: the Company of Dance, directed by the dancer Rui Moreira (2004 to 2008), FAN (2007 and 2013), the Black Art Festival of Belo Horizonte and Conexão BH (2013 and 2014), and Independent Music Festival. She participated in the Research Center in Cultural Journalism, coordinated by Carolina Braga and Internationalization of the Theater with the Spanish Toni González. She recently wrote the article “Curatorship to Healing: Notes on the imperative of decolonization”, published in the Dossier Curacao in Performing Arts of the Book of the 5th International Theater Show of São Paulo – MITsp. She is currently a Director of Arts Promotion at the Municipal Cultural Foundation of Belo Horizonte. First put on in 1994, FIT has received, since its origin, an excellent reception by the population of Belo Horizonte, constituting itself as an outstanding event in the Brazilian theater calendar. Its relevance was reiterated on January 31, 2008, through Law 9517, which established FIT as an official event to be held biennially by the Municipality, through the Municipal Cultural Foundation. In more than twenty years of its history, groups and artists from 42 different countries, involving more than 2,000 artists with productions from all continents, have been brought to Belo Horizonte. The festival has generated great impacts on the cultural dynamics of the city, attracting an audience of over 1,6000.000 people. Today, constituting one of the largest international theater festivals in the country, and one of the top five in Latin America, it continues to combine artistic quality, a multitude of languages, ​​and operations within different axis of action, valuing diffusion, formation, reflection, and exchange. FAN BH is a festival dedicated to the valuation and diffusion of black art. Their references articulate the ancestral roots of black culture in relation to their contemporary expressions, and dedicate themselves to strengthening traditional African matrices still preserved and those resulting from the contact with other cultures. Biannually, the festival comprises a wide cultural program, marked by the diversity of artistic languages ​​and the participation of artists, groups and researchers of black art and culture. Since 1995, it acts as an important instrument for the valuation of popular manifestations, stimulating the formation of a local market and fomenting the insertion of artists from the city inside cultural circuits. Their activities also provoke nuanced reflections and promote the democratization of access to cultural goods by the various sectors of the city. Throughout its history, the festival has consolidated itself as an important meeting place for local, national and international artists to share ideas, procedures and techniques about Black Art. A creative and formative flow guides participants, stimulating the continuity of the works through workshops, artistic presentations, informal meetings in the Ojá – Exchange and Knowledge Market, among other activities, fulfilling the role of promoting the strengthening of cultural identities and encouraging the understanding of the origin and the insertion of the various aspects of cultures of African matrices. 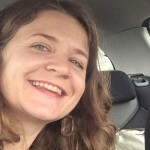 Arts Industry and Marketplace Manager at the Edinburgh Festival Fringe, I work with key stakeholders and partners to keep evolving and enhancing the services that the Fringe offers arts professionals who come to Edinburgh every year. As the largest arts market in the world, the Fringe hosted 1,400 arts industry professionals from 42 different countries in 2018 who were in Edinburgh experiencing any number of the 3,548 shows and meeting the artists presenting them. The Edinburgh Fringe Festival is the single biggest celebration of arts and culture on the planet. Every August for three weeks the city of Edinburgh, Scotland’s capital, welcomes an explosion of creative energy from around the world. Thousands of performers take to hundreds of stages all over Edinburgh to present shows of every kind. From big names in the world of entertainment to unknown artists looking to build their careers, the festival caters to everyone and includes theatre, comedy, dance, physical theatre, circus, cabaret, children’s shows, musicals, opera, music, spoken word, exhibitions and events. With more than 50,000 performances of 4,000 shows across 300 venues being seen by 1,400 international arts industry professionals and 1,200 international media representatives, there are, quite literally, thousands of reasons to go the Edinburgh Fringe Festival. Graduated in anthropology, Anamarta joined the cultural field in the late 80’s. After directing the Jorge Eliécer Gaitán Theater, she joined the National Theater and the Bogota Iberic-American Theater Festival, where she had the opportunity to work with its founder and director Fanny Mickey. After Fanny’s passing, she took over the direction of the festival, organizing, very successfully, its last five editions. She is currently working on its XVII edition set to take place March 27th until April 12th, 2020. The FITB (for its name in Spanish) is a performing arts event that takes place for 17 days every two years in Bogota, Colombia. Founded in 1988 by Fanny Mikey and Ramiro Osorio, it will soon host its XVII edition on March 27th through April 12th, 2020. Over the years it has become, like Avignon and Edinburg, one of the largest performing arts festivals in the world, bringing to Bogota top performers in theater, dance, circus, cabaret and street arts. During the festival, Bogota becomes a great carnival of arts, with more than 800 performances in theaters and other venues such as parks, plazas, malls, and coliseums. During those 17 days, the FITB also hosts an inaugural parade, academic events, live music presentations and a business networking. After a career in dance, Annemieke Keurentjes studied arts management and policy at the University of Amsterdam. She gained extensive experience in production, public relations and fundraising while working for numerous international organizations. Since January 2005, she has been working for the Holland Festival in Amsterdam, programming theatre and dance and running contextual and educational programs. In January 2018 she was appointed programming director in these areas. The Holland Festival is the leading international performing arts festival in the Netherlands. The festival offers a broad scope of international performing arts with a mix of performances and concerts from all over the world. The festival features established names as well as new talent, showing innovation in art and exploring new types of venues and forms of theatre. Since 2018, the festival invites one or two associate artists per edition. The work by these artists, the themes they work from and their artistic environment, is key in that specific edition. In January 2011, Arnaud Meunier became the director of the Comédie de Saint-Étienne – a National Center for Dramatic Art – and its Advanced School of Dramatic Art. There, he developed a new project in which creation and transmission of knowledge are intrinsically linked. The dialogue between different aesthetics and generations, the renewing of theatrical styles, the discovery of new authors, the daily presence of artists, the will to open and share theatre with the largest and most varied of populations, are key themes of the project he is currently implementing. After gaining a degree in political science, he began training to become an actor and, in 1997, founded the Compagnie de la Mauvaise Graine. The company gained rapid acclaim from press and professionals at the 1998 Avignon festival, which led to a permanent residency at the Blanc-Mesnil Forum in Seine-Saint-Denis, and support from Théâtre Gérard Philipe (directed by Stanislas Nordey). Faithful to his commitment to living authors, Arnaud Meunier perpetuates a companionship with the authors he most cherishes: producing plays by Fabrice Melquiot, Stefano Massini, Michel Vinaver, Oriza Hirata, Lot Vekemans and Aleshea Harris. In parallel, he also works in Opera as a stage director and associated director. 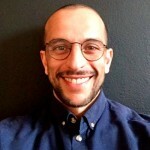 Fluent in three languages (French, German and English), he has, over the past ten years, worked in Japan, the USA, the Netherlands, Germany, Algeria, Italy, Austria, England, Qatar, Norway and Morocco. La Comédie de Saint-Étienne, National Drama Centre, is a theater institution moved solely by creative energy of its creators and performers that puts on nationally and internationally renowned shows. Created by Jean Dasté nearly 70 years ago, La Comédie was one of the pioneers of French theater decentralization. Arnaud Meunier has been running the theater since January 2011 and has been developing a project in which creation and transmission are intimately woven together. By his side are associated artists: Julie Deliquet (In Vitro Collectif), Pierre Maillet (Les Lucioles) and Cécile Laloy (Cie ALS). An artistic group composed of writers, directors and comedians works to propose a theater for today and tomorrow. They all share the same idea of making theater enjoyable and inviting. Its programming is deliberately open to nationally and internationally recognized teams, with great directors and famous comedians performing next to emerging companies. La Comédie is also open to everyone, with new proposals for younger audiences and families. Thanks to its two facilities,The Jean Dasté Theatre (700 seats), la Stéphanoise (300 seats), La Comédie is also developing a touring theater policy in rural areas and various Saint Etienne neighborhoods. La Comédie hosts one of the 12 Best Drama Schools, training tomorrow’s artists in an entirely refurbished National Drama Centre composed of three creation sets and two studios. It runs a 3-year training program with quality professional artists (acting, singing, body and critical studies workshops), commissions with living writers, international projects, a partnership with the Lyon Ciné-Fabrique, and a 3-year integration program into working life (DIESE). The TNB is part of the “Centre Dramatique National” (CDN) Network (National Center for the Dramatic Arts). The leadership of the CDN is entrusted to a stage director responsible for a long-term artistic project, cemented in the local fabric and shared with the local public. CDN emphasizes theatrical creation, contemporary writing, as well as innovative staging. They host major shows of French and foreign provenance, while also providing support to promising creative talent, acting companies and audiences. Since January 1, 2017, the actor and stage director Arthur Nauzyciel has led the TNB in Rennes. With his arrival in 2017, Arthur Nauzyciel has given fresh impetus to a new TNB project, rooted in three concepts: “Share, Transmit, Exchange”. Participating in the project are 16 associate artists, a research fellow, and an educational program director. The new TNB project aims to break down the barriers between artistic disciplines. In addition, it invites the public to explore different art forms and expressions. Through film cycles, carte blanche, and homages to movie directors, film occupies its rightful place alongside the other disciplines in direct relation to the seasonal program. During the 2018 academic year, and the arrival of the 10th graduating class, Arthur Nauzyciel and Laurent Poitrenaux have redrawn the educational program of the TNB School of Dramatic Art, emphasizing a multi-disciplinary approach with an international dimension to theatrical training. Is an interdisciplinary artist, curator, art director, consultant and artistic director. She lived 11 years in France, where she worked with big names on the European scene and at the Paris Opera. Since her return she continues to work in performing arts, the audiovisual sector, and exhibitions. She has been received nominations and awards, and represented Brazil in the Prague Quadrennial. In 2016, she received a prize for all of her works. She lectured at the École Supérieure du Spectacle, coordinated and taught courses at the Getúlio Vargas Foundation and Funarte, and currently teaches at the International Film Academy (AIC). She participated as mediator of the World Cultural Forum 2004, and of national and international symposiums and forums around curatorship, diffusion, and spaces of creation. Since 2013 she has acted as a judge for the Shell Theater Awards. 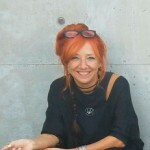 She is a curator at RIOFESTIV.AL and creator, director-general and curator of riocenacontemporanea and TEMPO_FESTIVAL. Created in 2009, TEMPO_FESTIVAL is an International Festival of Performing Arts in Rio de Janeiro. Each edition, curators and directors Bia Junqueira, Cesar Augusto, and Márcia Dias offer the public the possibility of immersion in the universe of the arts, with the intention of establishing a space for the diffusion of knowledge and trends in the performing arts. I is an artistic program of high quality that is extremely diverse. The idea is to bet on the innovation of the local and global scene, through a dialogue between artistic manifestations, with emphasis on theater, performance and dance. It invests in “creation time” – processes, residences, co-productions, meetings, round tables, workshops – and accompany artistic development at every stage. Cecilia was born and raised in Buenos Aires (1986). As a cultural manager, is naturally interested in global matters, intercultural exchange and art in all of its manifestations. She works both as a producer and presenter, running from visual arts to performing arts. She is the current Cultural Programming Director of the Buenos Aires Province, Argentinean Coordinator of the Latin American Showcase PROXIMAMENTE (set to take place at KVS – Brussels City Theater), and Producer and International Manager of Fernando Rubio Projects. Generates a new cooperative exhibition model in Europe that allows Latin American artists (emerging or middle-aged mainly) to establish links with the European industry in a close and horizontal manner, and to increase the international circulation of Latin artists, through co-production agreements with potential partners that are, until now, unknown. Cynthia is an actress, cultural manager, and founder of AFLORAR CULTURA. She is general director of FEVERESTIVAL – International Festival of Theater of Campinas and collaborator in the management of FIMC team – Cariri International Mask Festival. The festival focuses on production as a creative axis that drives collaborative actions, networking, training and coordination of working teams. It offers actions and training in cultural production, through lectures, courses, residencies in production and advice for group management. For 14 years she was the production coordinator of LUME Teatro – UNICAMP, where she coordinated the production of group shows, circulations, national and international seasons and the management of assembly / creation and training projects. She coordinated the production of major projects such as the Perch multimedia show, with groups from Scotland and Australia – with more than 200 artists on stage and two symphony orchestras – for an audience of 20,000 people. Since 2003, the Festival has marked the cultural calendar of Campinas and has created different ways of relating to the various corners of the city, the public, and its network of supporters. It values ​​the works of local cultural productions, as well as shows that are nationally and internationally recognized, to provide the population with powerful artistic productions from Brazil and the world at large. In 14 editions, it reached more than 800,000 people and brought more than 200 unprecedented productions into its programming. Festivals bring opportunities for chaos and encounters, networking and dissemination. They build bridges. Festivals invite the public and artists into a Journey that reaffirms space, occupies the streets, creates affective memories, and invites the city to be thrilled by this powerful encounter. Believing in this power of achievement and in Festivals as spaces to celebrate the human, Feverestival maintains its performance and, in addition to securing the participation of important national artists, the festival programmed spectacles from a range of other countries: Italy, Argentina, Uruguay , England, Germany, Bolivia, Finland, Israel and Burkina Faso. The group has received numerous acknowledgements, including three UBU Prizes and other prestigious special awards for their work. Full of freethinkers, Motus has performed all over the world: Under the Radar in New York, Festival Trans Amériques in Montreal, PuSh Festival in Vancouver, Santiago a Mil (Chile), the Fiba Festival in Buenos Aires, Adelaide Festival in Australia, Taipei Arts Festival in Taiwan, and all over Europe. Santarcangelo Festival is a lively, vibrant, and surprising arts and performance festival bringing the most groundbreaking and exciting contemporary creations to a small beautiful town on top of a hill in Northern Italy. Offering a diverse program of art and music, it transforms the town for 10 days by creating a unique and immersive atmosphere – a temporary community of artists – made up of citizens and spectators who gather around contemporary performing arts. The Festival has been successfully running since 1971, becoming an important cultural hub and a leader in the international arts scene. Along with its radical programming, it offers a pleasurable context for networking and conversation. Where and when possible, projects are contextualized, offering artists the chance to stay in residency during the year in Santarcangelo, presenting more than one work, in order to enjoy the Festival atmosphere and to develop a deeper connection to the Festival audience and the town. The festival prioritizes exchange among the artistic community: many artist collaborations and new projects have been born from the encounters that have taken place at the Festival over the years. 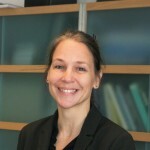 Dorota Kwinta holds an M.A. in Language (Portuguese and Brazilian studies) from Warsaw University. Since 2014, she has been working at the Adam Mickiewicz Institute. From 2015 to 2018, she was responsible for the partnership program between Poland and Brazil carried out by the Institute, including several performing arts projects with MITsp, Tempo_Festival and SESC/SP. The Adam Mickiewicz Institute is a national cultural institute based in Warsaw, whose mission is to build and communicate the cultural dimension of the brand “POLSKA” (Poland) through active participation in international cultural exchange. The Institute has carried out cultural projects in 70 countries. As of early 2019, the AMI has presented more than 6,000 cultural events, attracting an audience of more than 52 million on five continents. All of the Institute’s projects carry our flagship brand, culture.pl. The Institute’s culture.pl portal offers daily information services covering key events related to Polish culture around the world and features numerous artist profiles, reviews, essays, descriptive articles, interactive guides to Polish culture, as well as information about cultural institutions. The site is available in three languages: Polish, English and Russian. Dries Doubi (1990, Sint-Niklaas) has Belgian-Algerian nationality and lives and works in Brussels. He studied visual arts at the Royal Academy of Fine Arts (KASK) in Ghent and followed the preparatory program for Master in Philosophy at the Vrije Universiteit Brussel (VUB). Since 2017 he has been the performing arts programmer at the Beursschouwburg (Brussels), where he conceptualizes and organizes focused programs and mini-festivals (The Future is Feminist, Mind The Gap, Poetic Practices). Since 2012 he has been co-programmer and curator of the Bâtard Festival, supporting young European creators in their artistic development. In recent years he was involved in numerous artistic projects and productions, both as a curator (Lesfest, INFINI 1-15) and as a dramaturge (In Many Hands – Kate McIntosh, Mikado Remix – Louis Vanhaverbeke, Cuckoo – Jaha Koo). The Kunstenfestivaldesarts is an international arts festival dedicated to contemporary creations: theatre, dance, performance, film, and visual arts. It takes place in May of every year and lasts for three weeks, with presentations in some 20 theaters and arts centres, as well as in public spaces throughout Brussels. The Kunstenfestivaldesarts comprises a selection of artistic works created by Belgian and international artists: remarkable new projects that translate the artists’ personal visions of the world, communicating them to audiences prepared to challenge and broaden their perspectives. The Kunstenfestivaldesarts is a cosmopolitan city festival. Part of a complex network of communities, it serves to increase the porosity of territorial, linguistic, and cultural divides. The city is an environment par excellence in which to experience such a multifarious event. The Kunstenfestivaldesarts happens in Brussels, the only city in Belgium inhabited by the country’s two largest language communities. Several Flemish and French-speaking institutions are involved in the project. Fundamentally conceived as a bilingual undertaking, the festival contributes to encouraging dialogue. The Kunstenfestivaldesarts also runs a series of encounters and workshops alongside its program that are aimed at putting this artistic project at the heart of the city, inspiring the people who live there. Enrico Casagrande and Daniela Nicolò founded Motus in Rimini in 1991. The group burst onto the scene with productions wielding great physical and emotional impact that have regularly anticipated and portrayed some of the harshest contradictions of the present day. Throughout the years, it has created theatre shows, performances, installations and videos, conducted seminars and workshops, and taken part in interdisciplinary festivals. A Graduate of Combined Arts from the University of Buenos Aires. 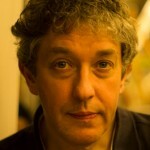 As a theater critic, he has worked in press media, TV and radio. He was a collaborator with the newspaper “El Cronista” and with magazines “El Atajo”, Magazine Literário”, and “Vea Más,” among others. Federico currently works at the newspaper “La Nación”. He is also director of the theater magazine “Funámbulos”. 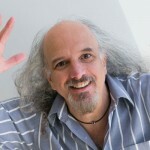 Irazábal works as a teacher at Pepperdine University, in Califórnia and at the Economic Sciences College of the Buenos Aires University.Since 2016 he is the artistic director of FIBA: Buenos Aires International Festival and, since 2018, executive director of the Buenos Aires Province Independent Theatre Council. FIBA: Buenos Aires International Festival is a festival organized by the City of Buenos Aires Ministry of Culture. Created in 1997, it has become one of the major performing arts festivals in Argentina. 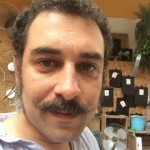 Felipe de Assis is a stage artist, producer, researcher and curator. As curator he participated in the selection committee of the Itaú Cultural’ Rumos Program (2017/2018), Oi Futuro Notice (2017/2018), MITbr, curatorship related to the São Paulo International Theater Festival – MITsp (2018/2019), and MEXE Encontro Internacional de Arte e Comunidade 2019, Portugal, among other Brazilian festivals. He holds a Master degree in performing arts from the Federal University of Bahia – UFBA Theater School. 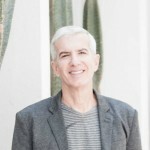 He is co-creator of the Bahia International Performing Arts Festival – FIAC Bahia, in which he still works as general coordinator and curator since 2008. FIAC seeks to create context for works and environments in which the public and artists share their multiple translations horizontally. The event is a laboratory of innovation and experimentation in the field of the arts. Its singularity is expressed by its connection with artistic practices and actions of cultural mediation. On to its 12th edition in 2019, it has consolidated itself as one of the most important festivals of the Brazilian genre, having already presented in Salvador more than 200 shows, international, national and local alike, across artistic genres of theater, dance, performance and urban intervention. All in all, it promoted the presentation of works from more than 18 countries with different socio-cultural contexts, some with a production in performing arts that rarely circulates in Brazil, such as Iran, Serbia, Congo and South Africa. In addition to the show, FIAC Bahia has also developed training activities such as workshops, debates, critical actions, cultural mediations and publications, as well as an International Seminar on Curation and Mediation in Performing Arts, in its last five editions. A graduate of Performing Arts from the Porto Alegre Theater School – TEPA – in November 2005 and a graduate in Social Communication/Journalism from the Pontifícia Universidade Católica do Rio Grande do Sul – PUCRS – in August 2010. Since 2007 Fernando has been coordinator of the production and international projects of the performing arts festival, Porto Alegre em Cena. In 2014 he began collaborating with the festival’s curatorship and currently works as an artistic director for the festival. He also manages the Artwork Productions. After many years of navigation between music, as a lead singer and guitarist, and restoration, as Maitre D at famous Montreal Cabaret Lion d’Or, Geoffroy co-founded Nadère Arts Vivants with Andréane Leclerc in 2013. 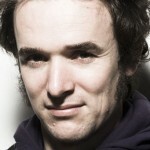 Currently co-general director and international representative of Nadère, Geoffroy’s interests resides in the creative development of Nadère by working on long-term collaborations with presenters, managers, and cultural workers, facilitating encounters between Andreane’s work and worldwide audiences through performances, workshops and artistic collaborations. Geoffroy travels the world to international festivals and art conferences such as IETM, IPAM, ENARTES, PLATEA, PAMS, CINARS, and has successfully toured Andréane’s scenic works in Egypt, Spain, Canada, US, Denmark, Brazil, France, and the Czech Republic. Interested in the interdisciplinary and decompartmentalization of disciplines, Nadère Arts Vivants creates innovative and unique interdisciplinary works that seek to question forms and genres. Founded in 2013, Nadère contributes to the advancement and recognition of the performing arts in Montreal and internationally by placing research at the heart of its creative process and fostering innovative artistic collaborations. Under Andréane Leclerc’s artistic vision, Nadère wishes to become an independent, unconventional, experimental platform for experimentation open to other artistic approaches. In 2019, Nadère will accompany an artist by offering residencies at its studio in Montreal and by offering production, management, strategic and dramaturgical counsel. Born and raised in Lebanon, Geoliane was selected by Sciences Po Paris for WOMED 2015 (Women of the Mediterranean: Future generation of leaders). She studied law alongside theatre and performing arts at the Lebanese University and was trained in contemporary dance. Between 2006 and 2012, she worked as a performer, choreographer, exterior eye and assistant director with Lebanese and international artists. While gradually shifting to cultural management and international development, she collaborated with several international organizations on mapping the cultural scene in the Arab region and identifying valuable actors and projects. She has been jury member, moderator and speaker at different international forums. She co-directed Spring Festival 2016 (LB) and organized the IETM Satellite meeting in Beirut on freedom of expression among others. Geoliane was International Cooperation manager at Moussem (BE), strategy and development manager at Beirut & Beyond International Music Festival (LB) until 2017, and managing director at Hammana Artist House (LB) until 2018. She has regularly curated and produced professional programs of international platforms (Us, The Moon & the Neighbors Festival 2015 (LB), Exodos Festival 2017 (SI), Shubbak Festival 2017 (UK)). Geoliane is currently International Advisor at ONDA (Office National de Diffusion Artistique), in Paris, and is a member of the board of directors of IETM (International Network for Contemporary Performing Arts), in Brussels. Onda – French Office for Performing Arts Circulation, is a non-profit organization funded by the Ministry of Culture that promotes the national dissemination of contemporary performing art works and that stimulates exchange in the field of performing arts in Europe and internationally. Its scope of intervention covers the disciplines of theatre, dance, music, circus, puppetry and performance art, whether works are created in France or abroad, performed in traditional or non-traditional spaces, or aimed at adults or children. 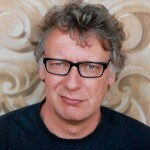 Gie Baguet is the founder and general manager of Frans Brood Productions, based in Ghent, Belgium. For more than 36 years he and his team accompanied international contemporary dance companies, circus and street theatre groups. Frans Brood Productions organizes their worldwide tours, always looking for the most beautiful festivals and venues to present their work. Companies they have worked with have included: les ballets C de la B (Alain Platel), Peeping Tom, Serge Aimé Coulibaly, Alexander Vantournhout, Circus Ronaldo, and many more. 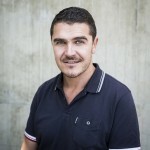 Gonçalo Amorim (1976, Porto) has been artistic director of the Porto Experimental Theater since January 2013 and FITEI – International Festival of Iberian Expression Theater since September 2014. He is a graduate of Anthropology from the New University of Lisbon and is licensed by ESTC (Training of Actors and Directors). He is collaborator and actor for Teatro O Bando since 1999 and was a member of the collective Primeiros Sintomas. As an actor, he has also worked with the Utero – Cultural Association, Olga Roriz Company, Single Dog, Trout, Earth Theater and United Artists. In cinema, he has worked with Edgar Feldman, Raquel Freire, Tiago Guedes, José Filipe Costa and Edgar Medina. He has taught at ESMAE and at ESTAL. He directed Rumor clandestino, by Fernando Dacosta (Teatro O Bando, 2007), Casas (Teatroàparte, 2008) and Inês Negra (Comédias do Minho, 2009), by Miguel Castro Caldas, A mãe, by Bertolt Brecht (Culturgest, 2009), Cal, by José Luís Peixoto (with Maria João Luís, Teatro da Terra, 2009), Guarda-sol amarelo (Teatroàparte, 2009), Maria mata-os, by Miguel Castro Caldas (with Bruno Bravo, Primeiros Sintomas/Teatro Maria Matos, 2010), Centro de dia (Alkantara, 2010), Meias-irmãs, by Nuno Milagre (Teatro da Terra, 2010), O jogador, by Dostoievski (SLTM, 2011); co-directed (with Ainhoa Vidal e Madalena Vitorino), Paris: Praia do Hawai (Movimenta-te, 2012) and directed Um espectáculo para os meus compatriotas, by Rui Pina Coelho (ZDB/Negócio, 2012). In TEP, he directed A morte de um caixeiro-viajante (2010) and Do alto da ponte (2011), by Arthur Miller; Já passaram quantos anos, perguntou ele, by Rui Pina Coelho (2011), O dia do santo, by John Whiting (2012), Chove em Barcelona, by Pau Miró (2012), Dois pontos Os Maias, from the novel by Eça de Queirós (2013), Os negócios do senhor Júlio César, by Bertolt Brecht (2013), Ping Pong Pau, by Ricardo Alves (2014) and Nós somos os Rolling Stones, by Rui Pina Coelho (2014). 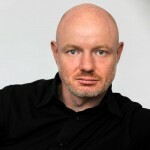 In 2007, he received the Critic’s Choice Award (APCT) for best direction for the play Foder e ir às compras, by Mark Ravenhill; and in 2012 he received a Special Mention from the APCT for his work as a director in 2011. Created in 1978, FITEI – Festival Internacional de Teatro de Expressão Ibérica is Portugal’s oldest theater festival – a reference in its domain and a recognized award-winning event. For more than 40 years the festival promotes theater and performing arts, while enhancing creative and collaborative bridges between Portugal and the Ibero-speaking world (Spain, Latin America, African Portuguese-speaking countries). International artists are programed alongside local performers. Performances are often followed by Q&A sessions. The festival also organizes parallel events such as seminars, workshops and exhibitions that promote the exchange of best practices, networking between artists of different backgrounds, and the approximation of audiences to both artists and the cultural organization, enhancing their sense of belonging to a project strongly rooted in the local performing arts scene. Hannah Pfurtscheller is based in Basel, Switzerland, where she works as a programmer at Kaserne and Theaterfestival Basel under new artistic direction since 2018. Before she worked for at wildwuchs, Zürcher HYPERLINK “http://www.theaterspektakel.ch/” Theater HYPERLINK “http://www.theaterspektakel.ch/”Spektakel, Gessnerallee HYPERLINK “http://www.gessnerallee.ch/” Zurich and transeuropa2012. Her academic background is in Cultural Studies and Applied Theatre Studies. Kaserne Basel is the largest centre in north-west Switzerland for independent contemporary theatre, dance and performance, and innovative popular music. As an international concert and theatrical venue with roughly 270 events and 50,000 visitors each year, Kaserne Basel combines artistic avant-garde with modern pop cultures. Kaserne Basel is a reliable partner of the local, national and international theatre and dance scene and organizes various festivals in the performing arts. As a co-producer it supports the continual development of independent theatre and dance companies, promotes young artists, and produces exceptional formats within urban spaces. The musical acts presented at Kaserne Basel include internationally and nationally acclaimed artists, thus helping to make Kaserne Basel a vibrant and well-known venue outside Switzerland. The program, which focuses on live concerts, is characterized by an interesting blend of current, up-and-coming, innovative and well-established bands. Theaterfestival Basel presents an international, biennial festival program featuring a range of genres and forms: from city projects to renowned dance and theatre productions, performances, nouveau cirque and installations. The next edition of Theaterfestival Basel will take place from August 26th to September 6th, 2020. Specializes in creative strategies and connections for circulation and touring in performing arts environments exclusively for original, relevant, and innovative artistic projects. They work with intuition and agility – promising no quick results, forced sales, tedious paperwork and DVDs. They believe in strong long-term relationships based on transparency and trust. Always vicious to learn, share, and teach, they desire and move with passion. Addicted to beauty in all forms, they are about people. Living and working to re-think, re-flect, re-late and put things into practice, together. Jay Wegman is the Director of NYU Skirball Center for the Performing Arts. Prior to Skirball, he served as Director of the Abrons Art Center for ten years. 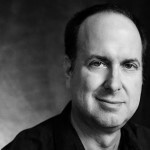 During his tenure, Abrons was awarded various honors, including the 2014 OBIE Award for Innovative Excellence, and the 2015 Bessie Award for Best Production. He was also a Fellow at the John F. Kennedy Center for the Performing Arts in Washington, D.C., and for over a decade served as the first Canon for Liturgy and the Arts at the Cathedral of St. John the Divine. He is the recipient of the 2015 FRANKY award for “making a long-term, extraordinary impact on contemporary theatre and performance in New York City.” Jay is a graduate of Yale University. NYU Skirball holds dear James Baldwin’s dictum that “artists are here to disturb the peace.” A home for cutting-edge performance and discourse, they invite adventurous, unorthodox productions and pioneering artists, scholars, and game-changers to their stage to provide audiences with experiences that can, and often do, reshape and expand worldviews. Their mission is to present work that inspires yet frustrates, confirms yet confounds, entertains yet upends. They proudly embrace renegade artists, academics, and thought-leaders who are courageous, outrageous, and mind-blowing. Jessie Mill is a dramaturg, a critic and an editor. Since 2014, she has worked as an artistic advisor at the Festival TransAmeriques for its programming in theatre and dance. She is also responsible for organizing the festival’s artistic encounters and outreach activities, such as the “FTA Clinics”. She provides guidance and support to stage productions, conducts interviews with artists, and teaches on occasion. She is also part of the editorial board of Liberté, a cultural magazine in Quebec. Jessie writes about performances and critical issues in the performing arts. 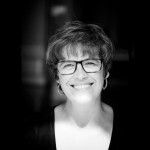 Between 2010 and 2014, she was the international projects advisor at the Centre des auteurs dramatiques (CEAD), namely in charge of translation activities and the international program for the centre’s yearly festival Dramaturgies in dialogue. At the CEAD, she also initiated collaborations with authors and artists from Burkina Faso and the Democratic Republic of the Congo. She is invited to give talks on Quebec’s theatre in Germany, Belgium, France and Morocco, and sat on the national selection committee supporting French-speaking playwrights at the Centre national du théâtre in Paris. Featuring each year some twenty companies from here and abroad, the Festival TransAmériques (FTA) offers a bold and innovative programming in dance and theatre that is based on artistic quality and on new work currently available both nationally and internationally. An instrument for exchange between cultures and generations, the FTA presents companies that reflect and symbolize the leading lights of contemporary theatre and dance, as well as lesser-known artists who are equally daring and influential and who are also transforming the landscape of artistic expression. The festival is an opportunity for young up-and-coming artists as well, providing a national and international showcase for their work. A hub of reflection and exchange, the FTA features several parallel activities (films, exhibits, readings, workshops, symposia, debates, etc.) in order to provide a comprehensive and critical approach to the work of the guest artists. 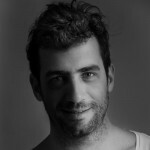 Born in Buenos Aires in 1982, Zak is one of the founders of what is currently the Timbre 4 Theatre. 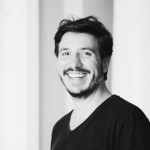 Graduated in administration from he University of Buenos Aires, he became an actor with the Timbre 4, joining the team of Paseo La Plaza between 2005 and 2008.Since 2005 he has been the general producer of Timbre 4 and a part of the group managing the theatre. He is also the director of the Temporada Alta Festival in Buenos Aires alongside Maxime Seugé. In 2013, Temporada Alta Girona and Timbre 4 Theatre decided to collaborate and present a Spanish theatre season in Buenos Aires. Temporada Alta is considered by critics and professionals as one of the major and most prestigious festivals in recent years, opening the door for several Argentinean artists in Europe (Claudio Tolcachir, Javier Daulte, Mariano Pensotti, Daniel Veronese, Ricardo Bartís, Romina Paula, etc.). The 2019 edition of the festival will play host to performances from Spain, Mexico, Colombia, Chile, Uruguay, Brazil, France and other provinces in Argentina. In 2019, the FIT Rio Preto – International Festival of Theater of São José do Rio Preto celebrated its 50 year anniversary. Created in 1969 by the Municipal Government of São José do Rio Preto as National Amador Theater Festival, in 2001 it expanded its borders and assumed an international dimension, based on a partnership with Sesc São Paulo. FIT Rio Preto is characterized by a program of great artistic value, aesthetic, and critical reflection. In addition, the programming of shows and training activities are aimed at democratizing production, access, and the enjoyment of cultural goods and services. The longevity of the São José do Rio Preto Festival, coupled with resistance to adversity and lack of investments in the cultural area, is due to the organizational rigor and constant dynamics required to meet the ever more pressing need to cultivate and expand a more critical public. 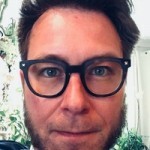 Born in Netherlands, founder and director of CULTURESCAPES, multidisciplinary annual (since 2015 – biannual) cultural festival in Basel, Switzerland. CULTURESCAPES is a Swiss multidisciplinary festival of culture, committed to the promotion of cross-cultural dialogue, cooperation and networking. Based in Basel, it extends its inﬂuence far beyond one canton as it works with partners in Bern, Zurich, Lausanne, Chur, Bellinzona and other cities. Karlien Vanhoonacker started her professional career as a journalist for the VRT. She worked as artistic collaborator and programmer at Kunstenfestivaldesarts in Brussels (BE) from 2009 till 2013. In September 2013, she became the artistic director of the art residency space Kunstenwerkplaats Pianofabriek in Brussels, where she supported the residencies of many emerging artists such as Liz Kinoshita, Radouan Mriziga, Oneka von Schrader and produced and coproduced the work of Jaha Koo, Myriam Van Imschoot, Rosa Omarsdottir, Julie Pfleiderer, Katja Dreyer, Silke Huysmans & Hannes Dereere and many others. The last five years Karlien Vanhoonacker also worked as a free-lance curator and artistic advisor for SPRING, international festival for performing arts in Utrecht (NL). 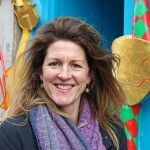 Kris Nelson is Artistic Director & CEO of LIFT. From 2013-2017, Kris was Festival Director of Dublin Fringe Festival, Ireland’s largest multi-disciplinary arts festival. A producer, dramaturg and programmer, Kris founded and lead the performing arts agency Antonym in Montreal from 2008-2013, representing some of Canada’s leading experimental dance and theatre artists. 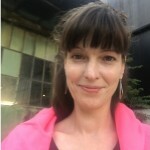 Kris was Encounters Curator for Magnetic North Theatre Festival (Ottawa) and has worked extensively across Canada for some of its most significant festivals and artists. LIFT has been at the forefront of ground-breaking international theatre since 1981, making and supporting radically open work that disrupts convention, has the power to unite strangers, celebrates our shared humanity and explores the political and social urgencies of our times. We bring global stories to London for our biennial festival, creating spectacular performances and moments of magic in every corner of the Capital and presenting shows in partnership with London’s major arts venues, theatres and galleries, but also in countless hidden spaces and places across the city.In recent years LIFT has represented 66 countries and commissioned over 40 new productions and events from around the world. Its most recent festival took place in summer 2018 and reached over 160k audience members through a program that stretched the breadth of London, from a disused golf course in Thamesmead to the iconic Tower of London, bringing over 1000 international and homegrown artists and participants together across 7 weeks of critically-acclaimed performances. Led by Artistic Director, Kris Nelson, LIFT’s next festival will take place across London in June 2020.Alongside LIFT’s biennial London-wide festival sits a program of year-round activity that includes large scale projects, artist residencies, national touring and its ground-breaking participatory work, LIFT Tottenham. 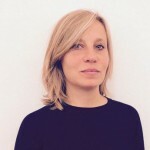 Lisa Gilardino is a performing arts curator, creative producer, and manager based in Bologna (IT). After studying contemporary arts history in Italy and France, she assumed responsibility for the promotion and the international relations of Lenz Rifrazioni theatre group and worked as general manager and artistic advisor at Natura Dei Teatri Arts Festival from 2001 to 2011 (Parma, IT). 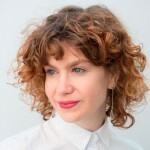 In 2011, after taking part in Festival lab – a one year long training program for festival curators and producers – she was invited to Festival Baltic Circle (Helsinki, FI) as a curator in residence to develop her project “Dreamcatchers,” research that mixes anthropology, visual arts, and dreams. Since 2011 she has worked as a freelance manager, providing promotion, development, and advising services for artists. She works with major Italian artists such as Motus and Alessandro Sciarroni. Since 2013, she has been running workshops and one-to-one advisory sessions on management and creative production in Italy and abroad. She has taught and mentorsed at Festival Salmon (Barcelona, ES), Alkantara festival (Lisbon, PT), and Università Cattolica (Milano, IT), among others. In September 2016, she was appointed as the co-artistic director of the Santarcangelo festival (Santarcangelo di Romagna, IT) with Eva Neklyaeva for the 2017/9 edition. Luiz is a journalist, actor, director and Lisette producer, and also the director of FILO – Londrina International Festival since 2003. He is a guest curator of Lisette festivals that showcases in several Brazilian cities. He is the editor of the book Filo 40 years – Historic report. He is the director and supervisor of various Lisette performances in the Londrina area, among which “Nas Alturas” and “Hangar 14” by the Group Mezanino. He frequently participates in lectures and encounters in Lisette festivals in Brazil and abroad. Currently, besides directing Filo, he is developing theater and culture research in North Paraná. FILO – Londrina International Festival was created in 1968 and is currently considered an important fixture of performing arts development in northern Paraná. Based on values such as democratization, respect, and cultural diversity, FILO has built its legacy on facilitating encounters between traditional and new creators in performing arts. Every year, the festival proposes a dialogue with the most diverse audiences – from young people to adults – which cultivates a faithful audience. Besides occupying city theaters, FILO presents a great number of shows in parks and squares of the city of Londrina, gathering together around 40,000 people in each edition. Marcelo is the Director of Articulation for the Secretary of Culture in Belo Horizonte. He is a programmer, consultant and adviser to important Brazilian theatrical festivals: International Festival of Street Theater of Porto Alegre, Festival of the Brazilian Theater and International Festival of São José do Rio Preto. 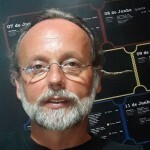 In 2004 and 2012 he was Coordinator and Artistic Director of FIT-BH – International Theater Festival of Belo Horizonte. He is the Minister of Courses on International and National Circulation for Producers and Performing Arts Artists. He is a creator and organizer of business round table events at FIT-BH, FITRua POA, among others. 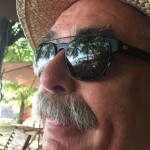 He is the creator and coordinator of the Festivals Observatory – an organization for the diffusion of information, reflections and research on theater festivals in Brazil. 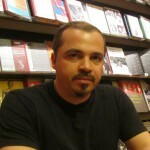 He has written several articles published in specialized journals in Brazil and abroad. 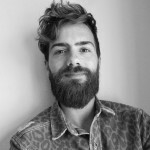 He is the coordinator of the Brazilian Network of Theater Festivals, Executive Director of Platô – Internationalization Platform of the Theater, consortium of four theatrical groups aim at internationalization actions (Luna Lunera, Teatro Invertido, Teatro Andante and Espanca!). He was the Director of Performing Arts at FUNARTE from 2009 to 2011. He is a graduated of Social Sciences and, until 2016, he was a professor at CEFAR – the Center for Artistic Training at Foundation Clóvis Salgado. 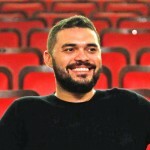 He is the director and founder of the Teatro Andante Group of Belo Horizonte. Between 2015 and 2016, he was a coordinator within the theater area of ​​National Arts Policy at the Ministry of Culture. Since 1986 Castillo Works as cultural manager in both public and private initiatives, currently he works as international advisor in cultural and political management as well as creative economy. He is also the director of the Performing Arts and Music Market in Argentina (2010/2018).He is executive director, producer and actor at Teatro La Cochera since 1984. As an actor, he has created more than 15 shows presented in Argentina and abroad. “GIRART Market of Performing Arts and Music of Argentina” is the first Argentinian cultural market, happening every two years in the city of Cordoba. It is produced by GIRART Puerta Mundo and the Teatro La Cochera association. It invites cultural producers from several countries to entertain Argentinian music and performing arts proposals with the intent of selling them to their festivals, theaters and cultural spaces. Each edition, the guests have access to business meetings, showcases, and international exchanges and collaborations targeting national and international curators and artistic directors. 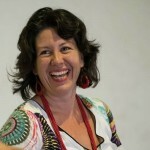 Márcia Dias is a reference in the area of ​​cultural production in Brazil. She has received several prizes for best production (APCA, APTR, Mambembe, Moliere, Sharp and Shell). She is the director of Buenos Dias Cultural Projects and Productions, specializing in Cultural Incentive Laws and cultural management. 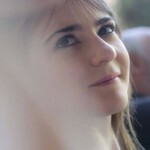 Among her projects, the following stand out: “Pérola”, by Mauro Rasi; “Lenine InCité CD and DVD” and “Elis – A Musical”. She is the creator, director-general, and curator of riocenacontemporanea and TEMPO_FESTIVAL. She participated in the curatorial committee of FRINJE – Festival of Performing Arts in Madrid in 2016. Her new venture is the WebCultural System, focused on the management of incentive projects and the RIOFESTIV.AL, a 100% digital Festival. 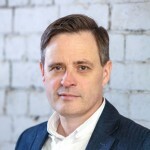 Mark Ball was appointed Creative Director of Manchester International Festival (MIF) in June 2017, where he is responsible for leading the artistic program for The Factory, MIF’s new large scale venue for arts and culture scheduled to open in 2021. From April 2009 to June 2017 he was Artistic Director and Chief Executive of the London International Festival of Theatre (LIFT), one of Europe’s leading arts festivals. From January 2008 – April 2009 he was Head of Events and Exhibitions at the Royal Shakespeare Company, establishing a new department focussed on developing new work and new audiences. From 1998 – 2007, he was the Artistic Director of Fierce!, an annual international festival of theatre, live art and contemporary dance taking place in Birmingham and across the West Midlands. Mark has been named the Institute of Director’s (IoD) Young Director of the Year and was made a Clore Fellow in 2006/2007. He also holds posts at a number of arts and cultural organizations and is an Advisory Board Member of the Science and Industry Museum. Mark Fisher is a theater critic, editor, feature writer and freelance journalist based in Edinburgh, Scotland. He has written about theater in Scotland since the late-1980s, contributing theatre reviews, interviews, arts features and travel articles to newspapers and magazines in Scotland and around the world. He is the Scottish theater critic for The Guardian and Variety magazine, a former editor of The List magazine, and a frequent contributor to Scotland on Sunday and many more magazines, newspapers and websites. As an editor, he has worked for the Edinburgh International Festival and Raploch Urban Regeneration Company. He is the co-editor of Made in Scotland, an anthology of plays; The Edinburgh Fringe Survival Guide: how to make your show a success, published in February 2012; How to Write About Theatre: a manual for critics students and bloggers, published in August 2015; and The XTC Bumper Book of Fun for Boys and Girls, published n October 2017. Born in France and nationalized as an Argentinian, Maxime studied at Business School ESCP Europe. His early work experiences were in the financial market before moving to Buenos Aires where he studied acting at Timbre 4.He worked at the Cultural Ministry of the City of Buenos Aires and since 2005 is general producer for Timbre 4 and part of the group that manages the space. 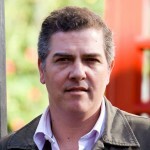 He is also producer of the Temporada Alta in Buenos Aires alongside Jonathan Zak. Mélanie Dumont has worked with Brigitte Haentjens since 2007. 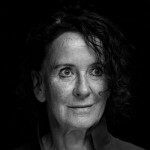 In her capacity as a dramaturg, she has been part of the creative team of several productions directed by Brigitte, notably Woyzeck (2009), Le 20 novembre (2011), Molly Bloom (2014), Richard III (2015) and Dans la solitude des champs de coton (2017). Mélanie has also collaborated with other dance and theatre artists and companies. Since 2012, she has been Associate Artistic Director, Youth Programming of the National Arts Centre French Theatre in Ottawa, and coeditor in chief of the Cahiers du Théâtre français. 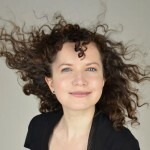 For the National Arts Center, Mélanie is also in charge of the programming of the BIG BANG Festival in Ottawa, an adventurous music festival for young audiences. The National Arts Center is the only bilingual, multidisciplinary performing arts centre in Canada, and one of the largest in the world.The NAC collaborates with artists and arts organizations across Canada to help create a national stage for the performing arts, and acts as a catalyst for performance, creation and learning across the country. A home for Canada’s most creative artists, the NAC strives to be artistically adventurous in each of its programming streams – the NAC Orchestra, English Theatre, French Theatre, Indigenous Theatre and Dance, as well as NAC Presents, which showcase established and emerging Canadian artists. 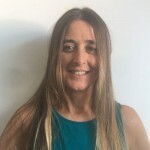 Olga Garay-English is Senior Advisor for International Affairs to Chile’s Fundación Teatro a Mil, which produces the annual three-week Festival Internacional Santiago a Mil and Platea Presenters Week. She also serves as Senior Advisor to France Los Angeles Foundation (FLAX), which provides funding support to LA-based and French-based artists. In 2016, she was appointed Executive Director of the Ford Theatres, a 1,200-seat historic amphitheatre in the Hollywood Hills. 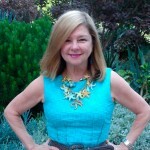 From 2007 to 2014, Olga was Executive Director of the City of Los Angeles Department of Cultural Affairs. As founding Program Director for the Arts for the Doris Duke Charitable Foundation (1998-2005), Ms. Garay-English awarded $145 million to arts organizations in the U.S. and abroad. Ms. Garay-English was named a Chevalier dans l’Ordre des Arts et Lettres in 2012. Born in Santa Clara, Cuba. The International Festival Santiago a Mil is produced by the Teatro a Mil Foundation since 1994. Every January, the Chilean capital and several other cities become the perfect landscape for the performing arts and encounters with audiences. The festival presents theater, dance, music, performance, circus, visual arts and cinema from Chile and all over the world. It’s a privileged space of contemporary creation focused on artistic excellence and meaningful social and political proposals. Over the course of six days, more than 200 performing arts professionals gather for the Santiago a Mil programmer’s week PLATEA. Chilean and Latin-American creators meet with producers and cultural manager from all over the world with the intention of globally promoting and expanding the performing arts. Pau Estrem is a cultural agent based in Barcelona with a Masters in European Projects Administration and a background in dance and theatre. Since 2016, Pau has been working as an International Producer for the Humanhood Company. In 2017, he became a member of ART REPUBLIC, agency for strategies and mobility for performing arts, where he works side-by-side Iva Horvat and Elise Garriga, accompanying companies such as Agrupación Señor Serrano, Pere Faura, Alex Rigola (Spain), Club Guy & Roni (Holland) or Zero Visibility Corp (Norway). Additionally, during the last years, Pau has worked as a local producer for festivals such as Grec Festival and Quinzena Metropolitana de Dansa (Spain), as well as developing and managing PRO areas, networks and activities of different international performing arts markets. Founder and artistic director of Danseu Festival, international dance festival in Les Piles, Catalonia. Supported by the Department of Culture de la Generalitat de Catalunya and Diputació de Tarragona. Since 2013, Danseu Festival has been a rural Dance & Performing Arts Festival focused on Site Specific projects. Every year, more than 70 artists from around the world, and of different disciplines, meet over the course of 12 days in Les Piles, Conca de Barberà, Catalonia. Main action points of the festival are: training, creation, program and new audiences development. Paula Giuria was born and lives in Montevideu, Uruguay. She is a creative artist in contemporary dance, and director of the Uruguay Contemporary Dance International Festival (FIDCU). She also teaches and coordinates the contemporary dance course of the Escula Nacional de Bellas Artes – UdelaR. FIDCU – Uruguay International Contemporary Dance Festival is an event stablished as a reference for contemporary dance both in Uruguay and the whole of Latin-America. For 8 years, for one week in May, artists, cultural managers, students, curators and the audiences in general gather in Montevideo to participate in this encounter. Year after year we reflect over distinctive elements brought up in sensitive readings and, from this point on, we think about how the festival program should be, either nationally and internationally, always questioning and experimenting different curatorial forms and processes. Paula de Renor – has been an actress, producer and director of Remo Produções Artísticas since 1983. She has produced several theater shows, including two international co-productions. He also works in the production of television programs and social projects related to theater. She was the founder and manager of the Teatro Armazém for 11 years. She was the curator and producer of the January of Great Spectacles – International Festival of Performing Arts in Pernambuco for 17 years. She is a representative of theater and opera at the State Council of Cultural Policy of Pernambuco. She is the creator and director of RESIDE.FIT/PE- International Festival of Theater of Pernambuco. A festival that focuses on the diffusion, formation, and reflection of the theatrical scene through artistic presentations, residences, workshops and meetings to share experiences and knowledge, discuss ideas and creative processes, as well as to strengthen ties of coexistence and stimulate the breakdown of eventual territorial and linguistic barriers.The program emphasizes the diversity of contemporary dramatic expressions and creates a dialogue between the Theater and the City, in the search for a greater rapprochement with the public. It happens in the city of Recife / PE. Its 2nd edition will be from 05 to 22 September 2019. Paulo Feitosa, Producer and Cultural Manager. Founder and director of the company Quitanda das Artes. It realizes cultural projects in several segments, with emphasis on performing arts direction and curation and music of national and international scope, integrating the managing nucleus of the Brazilian Network of Theater Festivals. He was dedicated to the management of public policies for culture, as Deputy Secretary of the Secretariat of Culture of the State of Ceará (Secult). Quitanda das Artes has been in existence since its inception in 2007. It formed from an understanding of the cultural sector in a broad way – through creation, execution and training, contemplating cultural production, and artistic and cultural diffusion and enjoyment. This global approach allows for a holistic view of the cultural sector and provides in-depth understanding of market functions. The institution is bases itself on: strengthening the cultural ecosystem, training, cultural development, innovation and sustainability. It emphasizes the need to understand the internationalization of culture as a central development strategy in the approach to cultural formation as an instrument of valorization and diffusion of culture, and in the recognition that to reflect on culture is to contemplate new values ​​and social codes. 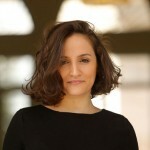 Pelin Basaran is a curator and producer with extensive experience developing and delivering high-profile contemporary performance projects across Europe. She is currently working as program manager at Contact, Manchester. She founded and worked as director of PARC which supported artistic creation and the presentation of the contemporary performance in Turkey. She also founded and worked as the researcher and co-director of the project “Siyah Bant-Freedom of Expression in the Arts” in Turkey. Contact is where young people change their lives through the arts, and audiences of all ages experience exciting new shows. We are the leading national theatre and arts venue to place young people at the decision-making heart of everything. At Contact, young people aged 13-30 genuinely lead, working alongside staff in deciding the artistic program, making staff appointments and acting as full Board members. The result is an outstanding, diverse and accessible artistic program for everyone. Roman Dolzhanskiy (b.1966), theatre critic, producer, dramaturg and curator. Graduated from Russian State Theatre Academy in 1993. 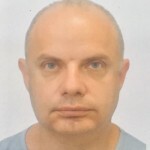 Since 1996 – he has been a theater columnist of Kommersant publishing house in Moscow. 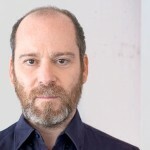 Since 1998 – he has been the co-founder and artistic director of NET (New European Theatre) festival, since 2006 he has been the artistic director of TERRITORIA contemporary art’s festival-school. Since 2008 he has been the vice-artistic director of the State Theatre of Nations in Moscow. He is a member of the Ibsen International Award Committee (Norway), curator of numerous theatre projects, such as “Inspiration” arts festival, “Russian Case” showcase, etc. As a dramaturg he has worked with many prominent theatre directors, such as Robert Wilson, Robert Lepage, Thomas Ostermeier, Timofey Kuliabin. The main goal of the festival-school TERRITORY has always been the unification of professionals of theater, dance, fine and music art and creation of the show, which would acquaint visitors with the most relevant performing arts of different genres. TERRITORY has been discovering new names, presenting avant garde classics and experimenting with forms for more than ten years. The festival’s performances were held in nonconventional spaces: on a train, and an opening party in the subway. During the ten years of festival’s existence, audiences have experienced plays, exhibitions, the very best world theaters and performers: Rimini Protokoll, Dimitris Papaioannou, Josef Nadj, Chunky Move, Schilling Árpád, Romeo Castellucci, Sidi Larbi Scherkaoui, Falk Richter and Akram Khan. Today these names have already become classics world performing arts, and many of them were brought to Russian audiences for the first time through this festival. Rui Silveira was born in Portugal, and currently lives and works between Berlin and São Paulo. He studied Performing Arts and cultural management in Lisbon, followed by a postgraduate qualification in Dance and Performance Studies at the Institut del Teatre de Barcelona, Spain. 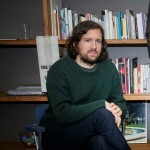 In Spain, he worked as an independent curator of performing and live art festivals in Barcelona (CCCB Centre de Cultura Contemporanea de Barcelona, Mercat de les Flors, among others), and in Portugal, as manager for artists (Vera Mantero / O Rumo do Fumo, Francisco Camacho / EIRA, among others). Later he joined Rui Horta as his programming assistant at the transdisciplinary arts centre O Espaço do Tempo (Montemor-o-Novo, Portugal). Between 2007 and 2014, he was actively involved in the life of international performing arts networks such as APAP – Advancing Performing Arts Project (2005-2008) and DBM Danse Bassin Méditerranée (2007-2014 – being its President between 2008-2012) co-organizing and co-curating festivals and international projects in Europe and the Arab world. In 2017, he founded Something Great in Berlin – Germany, being currently its co-managing director together with Katharina Wallisch. 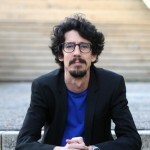 Since 2019, he is the co-artistic director of Festival Contemporâneo de São Paulo, Brazil, together with Amaury Cacciacarro Filho and Adriana Grechi. 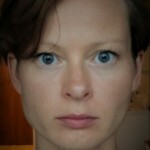 Kathatina Wallisch is a live arts manager and curator, living and working between Vienna and Berlin. She studied comparative literature at the University of Vienna and worked as manager for visual arts curation and exhibition projects (Leopold Museum Vienna, Glitz. Contemporary Art Project, University of Applied Arts Vienna, documenta 14 radio program in 2017). In 2010 she started to work as a manager for performing artists. She organized interdisciplinary conferences and exhibition projects between science and arts in partnership with Allianz Kulturstiftung, Rudolf Augstein Stiftung, and Maecena Stiftung and co-curated performing arts festivals (9th edition of 3AM Performing Arts Festival Berlin). As part of the EU-project EFRE- “Attention Dance” she taught the module TANDEM which focused on the networking and professional support of prospective production directors. 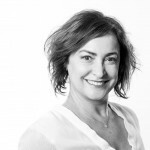 Since 2018 she is the co-managing director of Something Great, together with Rui Silveira. SOMETHING GREAT is a new international arts management organization with headquarters in Berlin – Germany. It is specialized in international promotion and touring activity of contemporary performing arts. Its mission is as simple as it is complex: we want artists to tour more. Throughout the year we manage and promote the international touring activity of selected artists and projects from all over the world. Those that we strongly believe in and want to support. At the moment we collaborate with the following artists: Alejandro Ahmed / Cena 11 (UY/ BR); Bruno Beltrão / Grupo de Rua (BR), Benjamin Verdonck (BE), Cláudia Dias (PT), Doris Uhlich (AT), Florentina Holzinger (AT/NL), Ivo Dimchev (BG), João Fiadeiro (PT), Marcela Levi & Lucía Russo (BR/AR), Margrét Sara Guðjónsdóttir (IS/DE), Michelle Moura (BR/DE), Michiel Vandevelde (BE), Radouan Mriziga (BE), Sofia Dias & Vitor Roriz (PT) and Sonja Jokiniemi (FI). We also manage and promote specific projects by other artists and art organizations with defined timelines and goals. 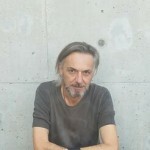 Sergio Saboya, through observation and experience in the production of groups and artists such as the Autonomous Theater, Amok Teatro, Cia Pequod, Cia Os Dezequilibrados, Cia Dos à Deux, Denise Stoklos, among many other theater works carried out over 22 years of his career, has more than 200 produced shows and numerous awards to his name. In 2012 he created the Festival Cena Brasil Internacional, a festival that aims to present a contemporary panel of national and international theatrical productions and promote the exchange of languages. The festival is in its 8th edition, and has already brought to Brazil 60 foreign shows. In 2014, Sergio prepared and performed the first Brazilian show at the Edinburgh Festival, creating the Circuito Internacional Cena Brasil, which aims to stimulate the circulation of national companies by the biggest international festivals in the world, such as Avignon and Edinburgh. He has already held two shows in Edinburgh and one in Avignon, both of which were recognized by the local press. From the show in Avignon, partnership with some festivals in China were established, such as the Beijing Fringe Festival, Wuzhen Theater Festival and Biennial. Cena Brasil Internacional is a performing arts festival that aims to present a contemporary panel of national and international theatrical research and promote the exchange of languages. It is in its 8th edition and has already brought to Brazil more than 60 foreign shows. It takes place annually at the beginning of June in Rio de Janeiro. Born in 1968 in GDR, Stefan Schmidtke studied directing for drama theater at the Russian Academy for Theatre Art (RATI-GITIS) in Moscow from 1992 until 1996. From 1996 to 1999 he was part of the artistic team at BARACKE at Deutsches Theater Berlin with Thomas Ostermeier and Jens Hillje. Since 2001 he has been Artistic Director of the series “forumfestwochen ff” at the Wiener Festwochen under Luc Bondy, 2007 and 2008 director of the festival Theaterformen in Hanover and Braunschweig. 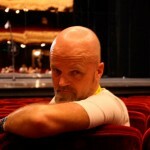 From 2011 to 2014, Schmidtke was Chief Dramaturg at Düsseldorfer Schauspielhaus under Staffan Valdemar Holm. Since 2014 he has been Artistic Director of the drama department and Chief Dramaturg of the Wiener Festwochen under Markus Hinterhäuser. From 2016 to 2018, he built up the program and event department of the Humboldt Forum in Berlin. Stefan Schmidtke will be Artistic Director for the 2020 festival Theater der Welt in Duesseldorf. 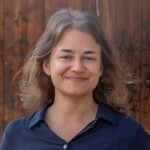 After completing a Doctorate in Literary Sudies in Berlin, Stefanie Carp worked as a dramaturg for a number of theaters: Düsseldorfer Schauspielhaus, Theater Basel, Deutsches Schauspielhaus in Hamburg. For twelve years she belonged to the creative team working with Artistic Director Frank Baumbauer. During this time she developed a close artistic collaboration with the artist Christoph Marthaler and the stage and costume designer Anna Viebrock. During Christoph Marthaler’s term as Artistic Director of the Zürcher Schauspielhaus, Stefanie Carp was his Co-Artistic Director and Chief Dramaturg. 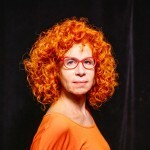 She spent two years as Chief Dramaturg of the Volksbühne am Rosa Luxemburg Platz under Artistic Director Frank Castorf and seven years as Theatre Director of the Wiener Festwochen (Artistic Director: Luc Bondy). 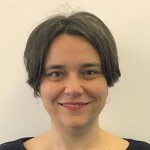 Stefanie Carp works as a dramaturg on individual productions (with Christoph Marthaler, Nicolas Stemann and others), holds a Visiting Professorship at the Deutsches Literaturinstitut in Leipzig and regularly publishes articles in a range of magazines. Since 1st November 2017, she has been Artistic Director of the Ruhrtriennale for the years 2018–2020. Music, dance, theatre, performance and fine arts in the former industrial buildings of the Ruhr Area: that’s the Ruhrtriennale. The venues of the Ruhrtriennale are the region’s outstanding industrial monuments, transformed each year into spectacular sites for impressive arts productions. At the centre of all this are contemporary artists seeking a dialogue with industrial spaces and between disciplines. World premieres and new works are the essence of the program which makes visiting the Ruhrtriennale an incomparable event. Every season, festival productions from the Ruhr region go on tour around the world. The artists and themes featured in the program are chosen by Artistic Directors appointed in three-year cycles. The Ruhrtriennale’s Artistic Director for the years 2018, 2019 and 2020 is Stefanie Carp. Associated artist for these three years is Christoph Marthaler. Ruhrtriennale 2019 will take place in August and September. 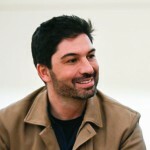 Since September 2014, choreographer, Tiago Guedes, has been the director of Teatro Municipal do Porto – Rivoli and Campo Alegre and, since 2016, director of Festival DDD – Dias da Dança – Porto, Matosinhos and Gaia, Portugal. Paralleling his activity as a programmer, he co-coordinates the postgraduate degree in Contemporary Dance from the School of Music and Performing Arts, Polytechnic of Porto. He began developing his work as a choreographer in 2001, presenting in theaters and festivals around the world. He was associate choreographer at RE.AL (Lisbon) from 2003-07 and resident choreographer at Le Vivat, Armentières, France, from 2006-08, where he also programmed CARTE BLANCHE, a showcase of Portuguese artists. In 2007 he founded the Cultural Association – Materiais Diversos, and its international performing arts festival in 2009 that he directed until 2014. 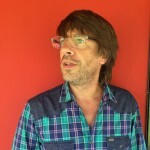 He was artistic director of Cine-Teatro São Pedro in Alcanena (2011-2012) and of Teatro Virgínia in Torres Novas (2013-2014), Portugal. DDD – Festival Dias de Dança (Days of Dance Festival) begins with the idea of connecting the cities of Porto, Matosinhos, and Gaia through a program focused on diversity within the contemporary dance field and promoting the circulation of venues and audiences. The international festival of contemporary dance, under the direction of Tiago Guedes, is produced by the Porto City Theatre/Porto City Chamber in collaboration with the City Chambers of Gaia and Matosinhos, in the Atlantic Front context. Annually, it puts forward an intense program backed by the established productions of the Porto City Theater – Rivoli and Campo Alegre, São João National Theatre, Constantino Nery Matosinhos City Theatre, Porto Coliseum, Serralves Foundation, Bolhão Theatre, Mala Voadora, balleteatro, Armazém 22 and Gaia City Auditorium. Tilmann Broszat is the artistic and managing director of the biannual festival SPIELART in Munich, which he founded in 1995. In this function, he initiated several transnational network projects like theater/festivals in transition. He also is the managing director and producer of the MÜNCHENER BIENNALE – Festival for Contemporary Music Theatre (since 1988). He was the managing director of the international Festivals DANCE (1998-2019), THEATER DER WELT in Munich (1993), and worked as producer and co-owner of ART BUREAU Munich from 1986 to 1993 in international theatre productions and co-productions. He studied sociology (diploma), social psychology and philosophy in Munich and Aix-en-Provence. SPIELART has been exploring and researching new trends and movements in the world of international theater since 1995, in order to present them to audiences in Munich every two years. The antennas are aimed at unusual forms of expression and aesthetics, current topics, strong personalities, and impressive productions. SPIELART, however, also always concentrates on posing questions about theater itself as an art form, and on consistently re-exploring and/or re-establishing theater with approaches from the fringes. Important accents of the festival’s platform are also its entrenchment in the city’s cultural life and the dialogue between the city’s artistic and institutional energies.